Warning: This post contains spoilers for the movie Hereditary. 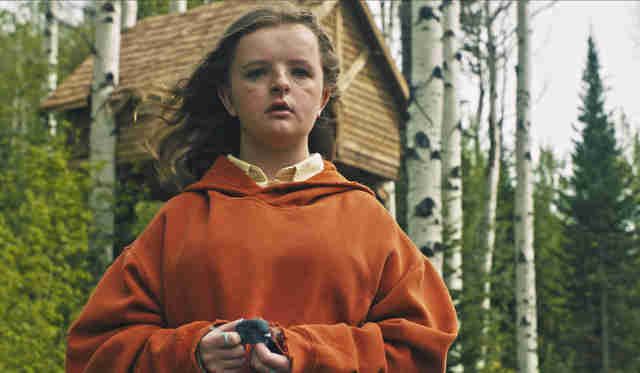 Writer and director Ari Aster is fully aware that his debut feature Hereditary is a pummeling experience. 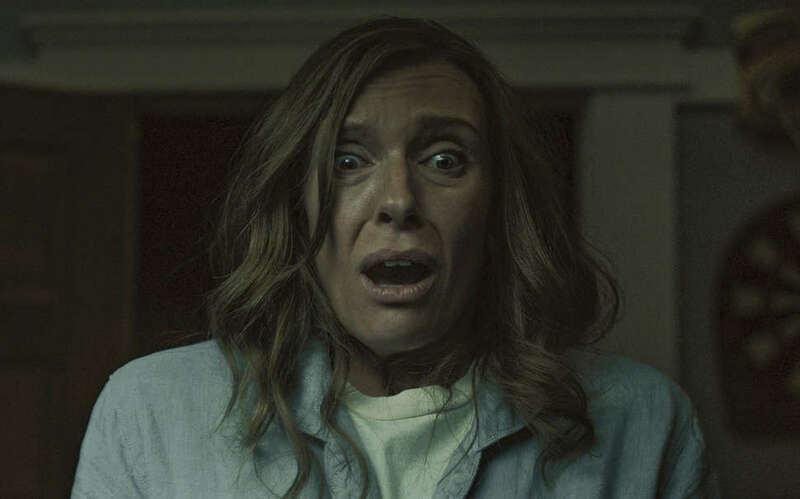 The film opens with the death of a matriarch, and then follows a family led by Toni Collette's Annie Graham, an artist who constructors elaborate miniatures and a mother of two, as it descends into an emotional and psychological hellscape defined by tragedy, cruelty, and violence. By the end, the audience is meant to feel broken. Aster describes it over the phone on a sunny Friday afternoon this way: "It is a film where it's prime aim is to really upset the spectator." So why are so many people celebrating a project so viscerally upsetting? 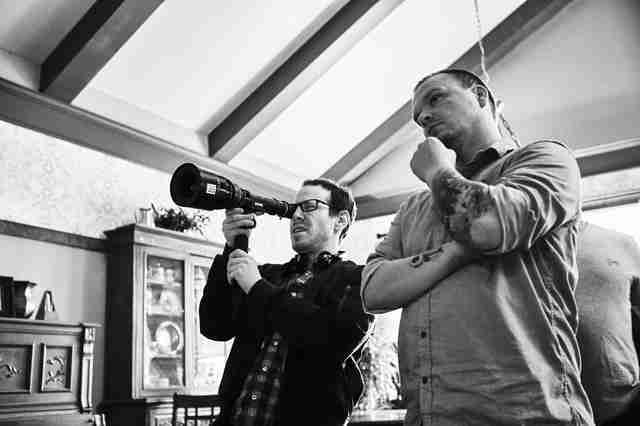 Ever since it debuted at Sundance in January, Aster's A24 produced horror film has received the type of rave reviews from critics and glowing endorsements from fellow filmmakers that typically greet an awards-season favorite. While Aster acknowledges that the reception has been "surprising" and "a relief," he must have known he had something potent on his hands. With each stomach-churning twist and skin-crawling image, the film takes on an almost demonic power as it builds tension over the course of its first hour. Then things really go off the rails. The film's hallucinatory finale, which involves the mysterious occult figure King Paimon, recalls the gut-punch terror of classics like Rosemary's Baby or The Wicker Man. To get a sense of how a director constructs such a thundering conclusion, we spoke with Aster about the reaction to the film, the research he did into the dark arts, and why his next project will probably be just as unnerving. Thrillist: When I saw the film at Sundance, it felt like the movie had the whole theater in a vise-like grip. What was it like for you to watch it with an audience after working on it for so long? Aster: It was an amazing experience. This was my first feature and I had never seen a film of mine on a screen that big with that large of an audience before in my life. First, it was just a relief because you get so close to the film and you get so lost in the minutia of making the film that you don't know what you've made anymore after a while. You know what you intended, but I'm a neurotic guy as it is, so you get increasingly neurotic. The movie is made with so much control, both in how the camera moves and in terms of tone, but now you're giving up control by releasing it in theaters. Has there been anything in how audiences have reacted or how people have interpreted it that you didn't expect? Aster: It's funny because you make the film and it's yours when you're making it. It's almost a platitude to say "when it goes out into the world it's not yours anymore, it's the audiences," but it really does feel that way. It's out of my hands. If anything, it was a reminder to me, "Oh right, I made a horror film, and that's what I intended to make." I've been happy to hear that people think it's a "good" horror film. I'm sure there will be backlash when it comes out but so far people have been very, very positive towards it. In a lot of ways I've been surprised it's been embraced so much as a horror film because I always saw it as moving away from the genre in a lot of ways. But it's moving away from maybe current tropes but moving back towards things that are inherent to the genre and were there a long time ago. I guess in a lot of ways it's just old-fashioned. Maybe what distinguishes it is that it's simultaneously old-fashioned and also extreme. Specifically, what old tropes do you see it as in dialogue with? Aster: I think it's a slow-burning ghost story that then turns on itself a few times over. But if anything, it's themes are old fashioned. It's a ghost story about guilt. Of course, it's more than a ghost story and turns out to not be one by the end. It's funny, I actually realized very recently it probably owes a greater debt to melodrama than the horror genre. I think the film is almost like Sirk-ian in its concerns. It just then goes crazy and goes insane. Again, in melodramatic fashion. There is no leash. I'd almost call it a supernatural melodrama. That's the first time I've ever said that, but I kinda like that. It feels right. For a story like this, I'm always curious what the first scrap of the idea was. Was it an image or an emotion? Aster: There were definitely images -- some I can't say because they're spoilers. But something happens 30 minutes in and that was probably the first thing that occurred to me and then there's a sequence near the end of the film where the son and the mother are alone in the house, and those images were definitely seeds. I usually approach anything I'm making by beginning with set-pieces. I think in set-pieces and then I fill it in. But I knew I wanted to make a family tragedy, and I wanted to make a film about grief and trauma and about how those things can be totally corrosive to a family unit. There is this tradition, especially American family dramas that deal with crisis, where the family experiences a crisis and things get very, very bumpy, but in the end they're brought closer together. I just think that's not always how it happens. Sometimes, disaster strikes and people are taken down. I knew I wanted to make a film that was about that but where the movie collapses under its own weight, where the fabric of the film tears open and it becomes a literal nightmare. It takes on this nightmare logic. Life can often feel like a nightmare when disaster strikes and -- again, in true melodramatic fashion -- the movie aims to honor those feelings by letting them dictate what's happening. It's a film that aims to be as big and as grotesque and as extreme as what these people are feeling. The ending veers into the extremes in a big way. What type of research did you do into the occult and how did you go about looking into that type of material? Aster: One source leads to another. You start with the obvious things like you look up Anton LaVey and Aleister Crowley, and then it gets very disturbing. I'm not tied in any way to the occult, so the research was disturbing, but I knew that I had to go there and I knew that I wanted the ritual elements of the film, which are held at a distance and you only get pieces of them, I knew I wanted them to be rooted in something real. I was lead to witchcraft manuals that are instructing people on how to cast spells and this and that. That, if anything, was disturbing because I knew there were people who read this and were using them for ill ends. There are love spells in these books but there are also sickness spells. It started to really disturb me when the stuff I was reading was not poetic but just very clinical and instructional. Do this, do this, do this, and then this is the result. It just reminds you that there are Machiavellian forces in the world and even if you don't believe in the occult and even if you're not a superstitious person, there's nothing scarier then what people can do to each other. The music by Colin Stetson is essential to the mood of the ending. What was it about his music that made you think it would be such a good fit with this material? Aster: I love his score too and I think Colin is just a genius. 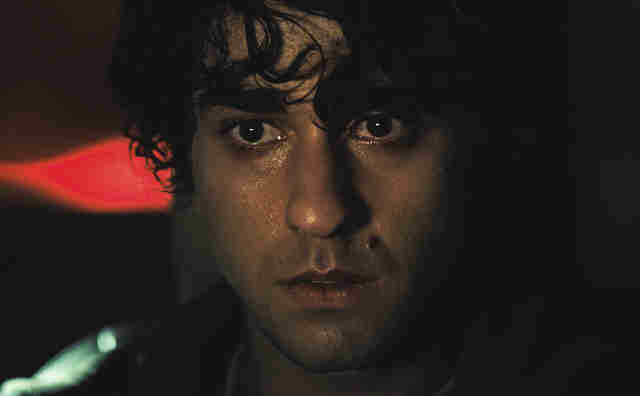 He was actually the first person I pulled onto this film. Two years before we found producers and financing, I had reached out to him and secured him on the project because I was actually writing the script to his music. His music always just felt like the movie to me, the movie I was trying to conjure. For me his music and the film are inextricable from each other. There's just something so sorrowful about his solo music and what he does with horns and the saxophone, and here in this film with clarinets and different instruments, he does something so singular. You can't identify what you're hearing. He's a really amazing artist. I saw that you're re-teaming for another horror film with A24, and I've read in previous interviews that you don't necessarily think of yourself as a horror director. What is it about the genre that continues to excite you? Aster: I can say that I have 10 other feature scripts, and this is the only other film that serves as a contribution to the horror genre. Calling it a horror film right now is better for efficiency. Like Hereditary, it's something that becomes horror by the end, but it's more complicated than that.